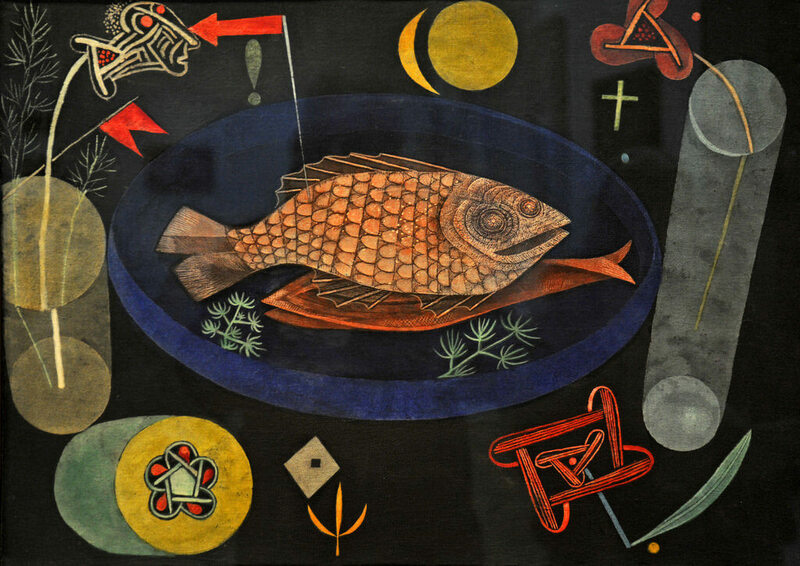 A garnished platter of fish is surrounded by a constellation of seemingly disparate elements - a cross, full and crescent moons, an exclamation point, a forked red flag - all hovering against a dark abyss. 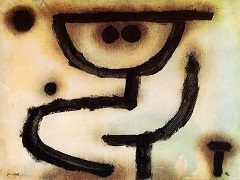 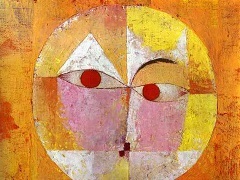 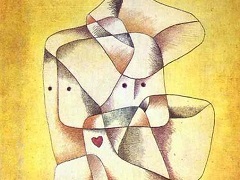 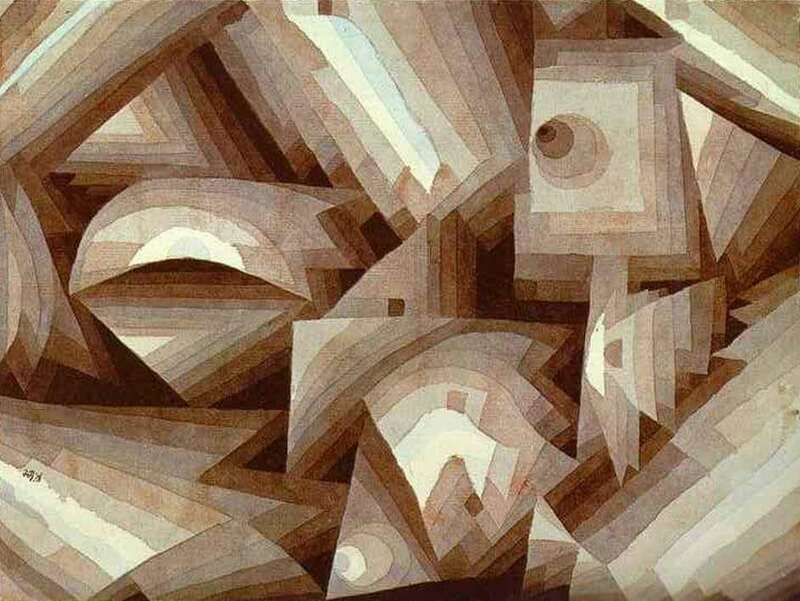 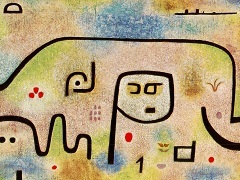 Some of Klee's iconography grew out of his teaching; the arrow, which he initially used as a teaching tool to indicate force and emotion for his students at the Bauhaus, here points confrontationally towards a stylized head, possibly alluding to human consciousness. 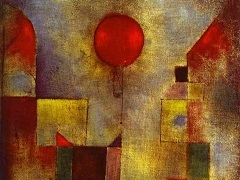 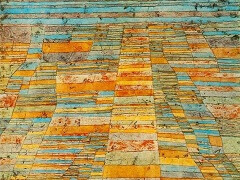 Although they are often enigmatic, Klee believed his personal hieroglyphs and figurative elements had wider connotations: "The object grows beyond its appearance through our knowledge of its inner being, through the knowledge that the thing is more than its outward aspect suggests."